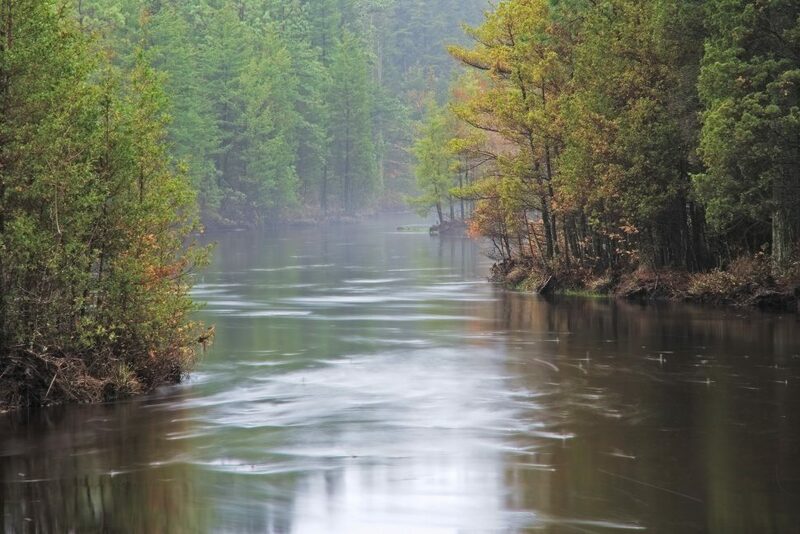 Camping is one of the most egalitarian activities we have in the State of New Jersey. On public land, a wilderness a campsite in Wharton State Forest can be registered for as little as 3 dollars per person. Camping is one of the most egalitarian activities we have in the State of New Jersey. In Wharton State Forest, a campsite can be registered for as little as 3 dollars per person, per night. 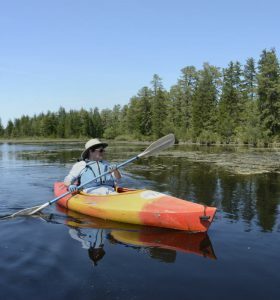 To protect land and habitat and provide options for sustainable recreational activities on that land is one of the best ideas we have ever had as a people and nation. 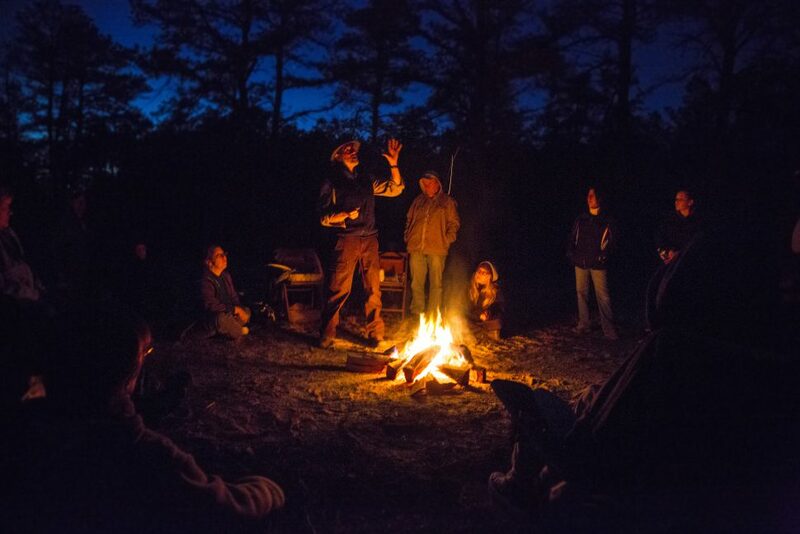 Listening to the quiet of the night forest and breathing of the crisp air under a starry sky is an experience that resonates with the spirit of every outdoors enthusiast. For someone new to camping or those always looking to improve, we have a few well-practiced suggestions. An easy to assemble tent, combined with a sleeping pad and sleeping bag rated for below the average nightly temperature of the season, is the simplest option for achieving a high level of comfort. This will provide you with warmth, protection from moisture and wind, and a degree of privacy. For the more ambitious, a hammock and tarp, or only a tarp can be a suitable shelter arrangement for many weather scenarios. Make sure to test your system out beforehand, to ensure that you can create a rain-proof arrangement before it becomes a necessity. Start by putting up your ridgeline from which you will hang your tarp between two trees with guy-lines staked out on 45- degree angles to the grommets. This will give you a dry place to continue your work from if rain has started or is approaching. Next, assemble your hammock by use wide straps to avoid damaging the tree you are using. It is best to start with the hammock as taught as possible and a bit higher up then you wish to be as there will be inevitable sag once you enter it. It is critical here that the tarp you chose can cover the entire length of the hammock with some overhang to prevent rain from running flomax buy online down each side. Some insulation on the bottom of your hammock is necessary even in summer, and for this, some people use a special pad with wings to stop the pad from slipping out from underneath while sleeping. Others use a quilt that attaches under the hammock to block the wind and provide insulation. This is a critical step for an enjoyable night in any season. For tarp camping, a ground pad is absolutely essential to keep you insulated from the cold earth. Conduction to the ground will rapidly cool you, even on a summer night, but even a modest closed-cell or inflatable camping pad will keep you comfortable and warm throughout the night. Camp cooking is an ancient art and one that still thrives today. 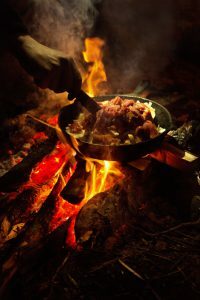 Over an open fire or a camp-stove, a creative campfire cook can turn a few ingredients into a delectable meal. Some campers choose to bring a cooler, but it may be easiest to simply bring foods that do not need refrigeration. A spork or spoon for each camper is sufficient in terms of utensils and it is ideal for every camper to have a solid metal cup to dish out servings or serve a warm drink. Make sure to also bring a trash bag so that you can efficiently carry out what you carry in. Do not throw trash in the fire as incomplete combustion can leave an unsightly mess. For campfire pancakes, cast iron works best if you feel comfortable hauling it in. The art of one-pot meals becomes a real necessity when cooking in the backcountry. Firewood is usually unavailable at most campsites, but in a canoe, you can haul in fresh timber as long as it is locally sourced. 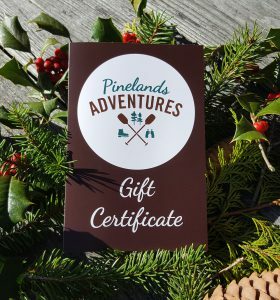 Pinelands Adventures has this readily available for 5 dollars per bundle. Transporting firewood over long distances is not recommended because of the potential to spread invasive insects. Overall, Have fun, stay hydrated, and if you or a friend have a camp-friendly musical instrument, bring it!